London has had an influx of American nationals being shipped over for professional reasons, this accounts for the large population of Americans moving here. As a result there are some areas that are overrun by US expatriates i.e. South Kensington, Notting Hill and Chelsea, all offer rentals, flats, and apartments. There are other neighbourhoods in London that have been overlooked and have proved to be low-cost and above-board. These would include Marble Arch with housing prices estimated to be 25 percent less than those in other commonly situated expatriate populations, the same of which can be true for rentals in those areas. Edgeware Road is located in Marble Arch and two blocks south of that road is an assortment of flower shops, wine merchants and cafes. It might be considered by some to be a boisterous main road but it essentially gives the area a unique buzz which is further complemented by an abundance of remarkable Middle Eastern restaurants to what might otherwise be an average charming neighbourhood. In central London, West of Marble Arch is another residential rental neighbourhood known as Bayswater. Bayswater boasts enchanting surroundings with its collection of awe-inspiring picturesque squares which are almost completely unchanged from the time of their original construction. 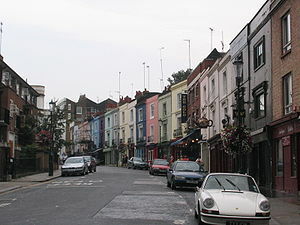 It is located in an ideal spot where you are able to explore the most famous market, Portobello Road as well as areas offering shopping, restaurants and colourful Victorian architecture i.e. Westbourne Grove Road and Notting Hill. Bayswater also features several appealing white-faced Victoria townhouses which serve as B & Bs and hotels intermixed with London flats. Notwithstanding its villagey pockets, Bayswater may not be the upmarket Notting Hill but it will acquaint you with Britain’s loveable distinctive features where the bona fide Londoners live, eat and drink. Now that you have decided you are moving get ready to be part of the cultural exchanges and connections, as there are a number of interesting places to visit and things to do, all within easy striking distance of central and not all of them overrun by tourists. So let your adventurous new life begin! “When a man is tired of London, he is tired of life; for there is in London all that life can afford.” —Samuel Johnson, 1777.